Why ? Because what you allow in your head significantly impacts your life. Neuroscience research has estimated that as much as 95% or more of all brain activity is completely unconscious. And although only about 5% is conscious awareness, 95% is unconsciously stored. That means that there is a bunch of stuff we don’t even realize is being stored in our brains! And all that stuff that is going in subconsciously guides our beliefs, fears and actions without our active participation. What we put in our brain matters because it’s in there, it’s being stored and it’s guiding our thoughts and our actions…..and we are unconsciously aware of the impact! We may not be able to control our subconscious but we can control what we allow to get in our heads and where we spend our time. There is a lot of information on how the brain works – that is not the focus of this. The point is we have control over much of what goes into the 6 inches between our ears and it matters because this is the central hub for our life. You are in control — choose wisely. Everyday we are faced with choices about what we listen to, who we hang out with, and where we spend our time. It starts with awareness and personal accountability. We have a choice about what goes into our brain. Ever been around those people who constantly bring you down? Ever watched a Netflix series that just left you feeling unsettled after watching it? Ever considered that you may be spending too much time admiring other people lives on social media while feeling discontent with your own? These are all triggers that our everyday choices are not serving you well. Recently I heard an analogy that I thought represented this point well. Each one of us has a struggle going on between the white and the black wolf. They are each trying to outdo the other – to compete for survival. The question: Which one wins? The answer: The one you feed. Are you feeding the right wolf ? 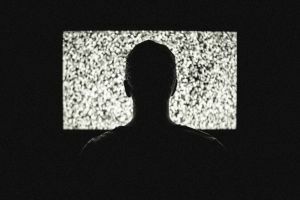 Watch what you watch — Are there TV shows, Netflix series or movies that are setting the wrong expectation about life? Are there alternatives to the negative images, storylines and graphics that are being stored subconsciously? Turn off the TV, change the channel, or find a new way to use your time. Pay attention to where you are spending your time — Are you spending too much time social media surfing? Consider ways to use your time for a more positive purpose – championing a cause, helping a friend or volunteering to serve. Other ideas: read an inspiring book, start a hobby, take an on-line class to learn a new skill. Evaluate who you are spending time with — Are people you are with bringing you down? Proactively identify a good support network; people who lift you up just by being around them. Identify positive people who are encouraging and non-judgmental. Spend time with them. Action: Over the next 31 days – take action in one of the areas above. Write down one way you can implement a change in your life to be more intentional with your thoughts. It matters. Choose to feed the White Wolf.